Fluke is a re-known multimeter brand. They have some of the best clamp multimeters on the market and many electricians and engineers love their products. The Fluke brand has many years of experience and they create products that meet the demands of users. One of such quality clamp multimeter is the Fluke 323 dmm. 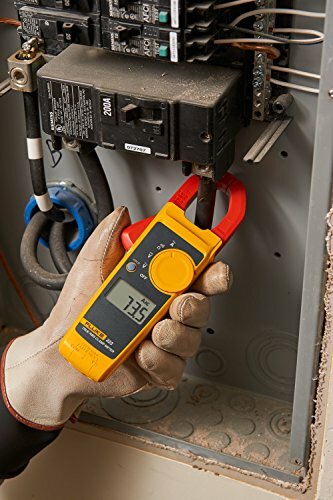 The Fluke 323 clamp meter is built for all people and it is very easy to use. You don’t have to be an expert in multimeters to use the Fluke 323 digital multimeter. Read this Fluke 323 review to know more about this clamp meter. The tool is sturdily built and has excellent features. The display screen is for displaying results and it has an audible continuity sensor. It meets several safety standards and it is a true RMS sensing meter. Read on to know more about this quality digital multimeter for testing and troubleshooting electrical devices. This device will provide you with many years of use. This is because it is sturdily built and can survive the harsh surrounding that electricians work in. It comes with a strong plastic housing. In addition, it has a sturdy carrying case for proper storage of the device when not in use. 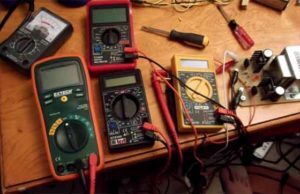 If you have been using a large or poorly designed multimeter, it is time you have a slim and excellently designed tool. The Fluke 323 is not only slim but as well ergonomically designed. This makes handling the multimeter to be easy and very comfortable. People are afraid to get hurt or damage the device during use. That’s why it is important to check if the device meets certain safety standards on the tests that you want to carry out. The 323 dmm matches IEC safety rating standard 61010-1 and is as well rated for CAT IV installations to 300V and CAT III installations to 600V. The Fluke 323 digital multimeter provides accurate results and these are displayed very quickly. This allows the user to take several tests and troubleshoot within a very short period of time. Using this device has an advantage over several meters as it can perform a wide range of functions. The Fluke 323 is able to test AC current up to 400 amp, AC and DC voltage up to 600V, and resistance to 4 kilohms. The only thing that it doesn’t carry out is to measure DC current. But the jaw opening measures current in a conductor up to 30mm without touching or interrupting the circuit. There is no great filling like having a simple to use multimeter device. Whether you are a startup electrician, DIY or professional engineer, using this device is simple and clear. Every detail and information that you need to know about the device is included in the user’s manual. Every port and button is also clearly labeled for easy use. Unlike some multimeters on the market, the Fluke 323 multimeter is silent or not noisy. So, you don’t have to be disturbed about the noise usually made by different multimeters. Just carry out your tests and troubleshoot without any loud noise. Although this digital multimeter is able to perform a wide range of tests, it is offered at a very favorable price. So, you get value for your money when you purchase it as it still offers accurate and quick results. The manufacturer has full trust in this multimeter and they provide a 2-year warranty to buyers of the tool. Not all brands offer warranties, hence, this is a bonus to the customer. It doesn’t come with screen light which makes the reading of results in the dark to be a bit challenging. It is a bit challenging to use as you have to hold the probes and the device at the same time. This is because the leads don’t fit well and are a bit loose. What is the difference between Fluke 323 and 324? If you want a digital multimeter that measures voltage, resistance, continuity, and AC current, then you should try the Fluke 323 digital multimeter device. 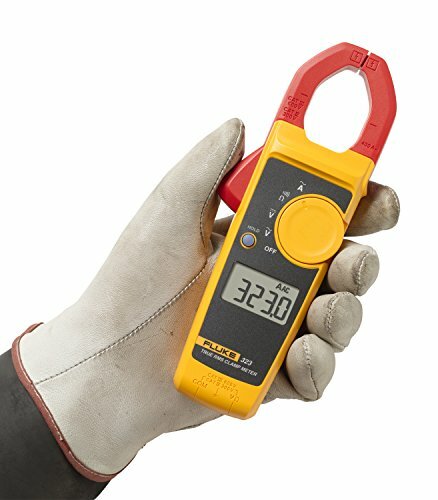 This ergonomically designed and lightweight multimeter will help you test and troubleshoot various electrical devices. It is sturdily constructed for longevity. Also, it’s slim design and compact design is for fitting in tight areas. The device has a carrying case for safe storage and easy carry from one place to another. Using the device is safe as it meets different safety rating like CAT III 600V and CAT IV 300V. For those interested in purchasing of this DMM, the manufacturer will give them 2-year warranty. Comment below if you any question after reading this Fluke 323 review.